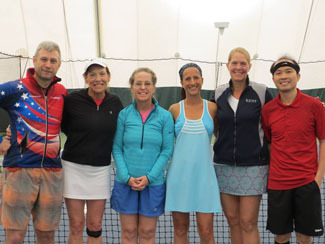 This event is the major fundraiser for the Greater Elmira Tennis Association. The proceeds from this tournament help support the annual activities of GETA. Please view the registration form below for more info. WTT runs throughout the year and throughout the region! Read the rules of this unique WTT match format, contact a captain, and compete in a fun and competitive tournament against like-level groups from around the state! 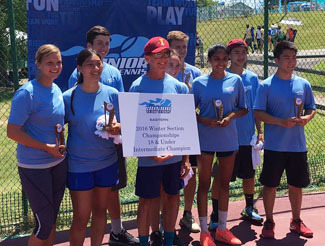 USTA Junior Team Tennis (JTT) is a program for boys and girls ages 6-18 that allow them to play on compatible teams of similar age and skill levels. JTT has two tracks: a local championship track and an advancing track that has an opportunity to advance to a national tournament and compete against players from all over the country. 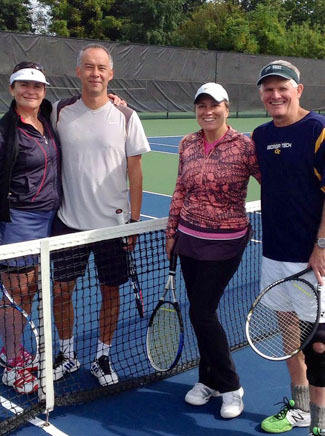 Novice: Players with limited or no prior organized team tennis or tournament experience. Intermediate: Players with prior match play, team tennis, high school and/or tournament experience. Players at this level will have a NTRP ranking below 3.5. 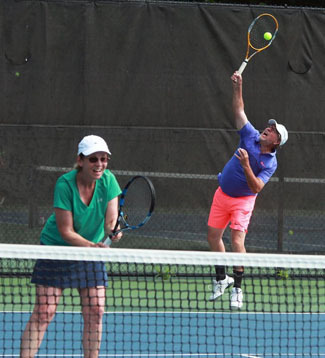 Advanced: Players with considerable team tennis and/or tournament experience. Players with a NTRP of 3.5 or higher will play on an advanced team. Note: Winners of Men’s Open Singles and Doubles receive a wildcard into the $75,000 Levene Gouldin & Thompson (LG&T) Tennis Challenger, a USTA Pro Circuit event.